Prinsessan Ingeborg Malmö, Stockholm, Gothenburg, Montevideo, Buenos Aires, Talcahuano, Valparaiso, Antofagasta, Iquique, Callao, Guayaquil, Balboa, San Pedro, San Francisco, Seattle, Tacoma, Central American ports, Columbian and Venezuelan ports, Gothenburg and other European ports. The brochure lists many other ships arriving in Scandinavia from Brazil/River Plate (Santos/Rio de Janeiro/Buenos Aires), West Indies (San Juan), Central America (San Salvador/Guatemala), North Pacific (San Francisco/Seattle/Vancouver) and South Pacific (Guayaquil/Valparaiso). Bio-Bio Gothenburg, Antwerp, La Guaira, Curaçao, Cristobal, Buenaventura, Guayaquil, Callao, Arica (occasionally), Valparaiso. 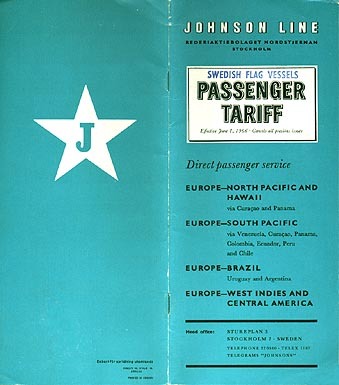 Return voyages: Valparaiso, Antofagasta, Callao and/or other Peruvian ports, Cristobal, Curaçao, Antwerp, Gothenburg. Also itineraries for sailings of Margay and Guayana to Buenos Aires. Also itineraries for sailings of Paraguay, Brasilia and Portland to North Pacific ports. No ports of call listed en route to the North Pacific. Also itineraries for sailings of Amazonas and Bio-Bio to South Pacific ports. 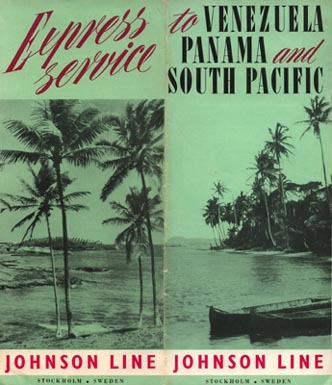 No ports of call listed en route to the South Pacific. Intermediate calls not clearly stated as other ports are also listed. Probably similar to the route in 1966 (above). 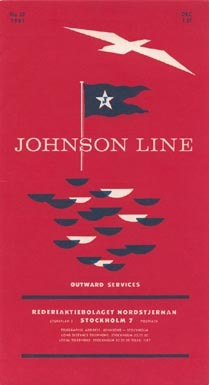 See the archives section for more brochures of Johnson Line. 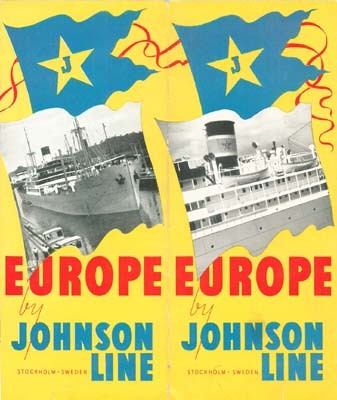 Yet another site, Kommandobryggan (The Bridge), has many photos of Johnson Line's ships and details its history (in Swedish). 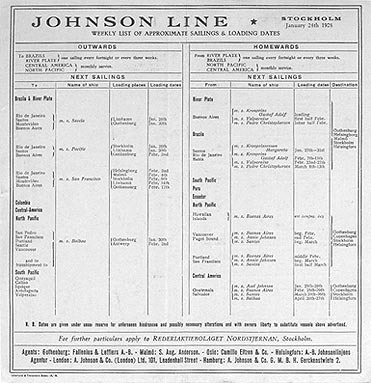 Fakta om Fartyg/Facts about Ships has a page on Johnson Line with photos and other details of the ships listed above.